This was such an amazing fun weekend! 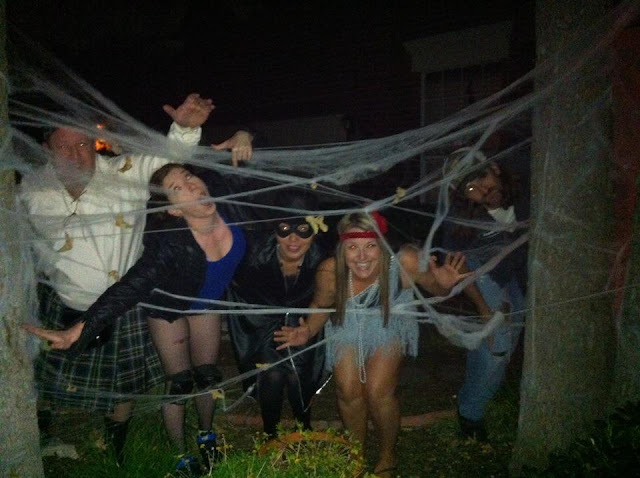 So glad the cold front came & cooled our town off just in time for some Halloween festivities! 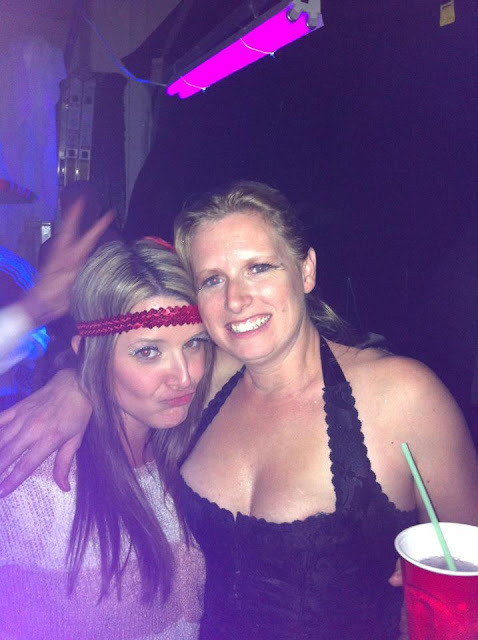 Saturday night we went to our neighbor's Halloween party. We were actually planning on not going to any this year but it worked out that Bella was able to play with their kids during it, so we ended up going and having an absolute blast! They have amazing friends & between firemen showing up, a scavenger hunt, & OU loosing it made for a fun night! 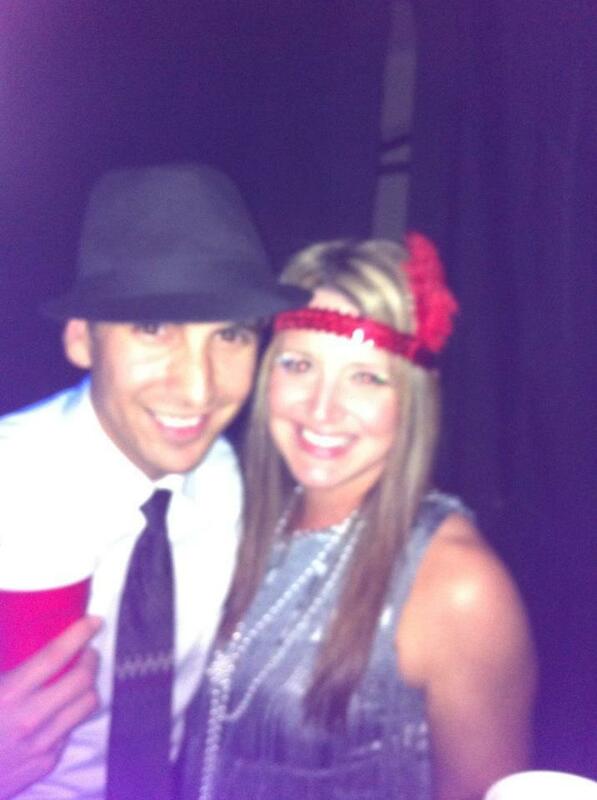 Eric & I at the party dressed as 1920's gangsta's! Our group during the scavenger hunt! Sunday we got Bella and went to Elgin Christmas Tree Farm. 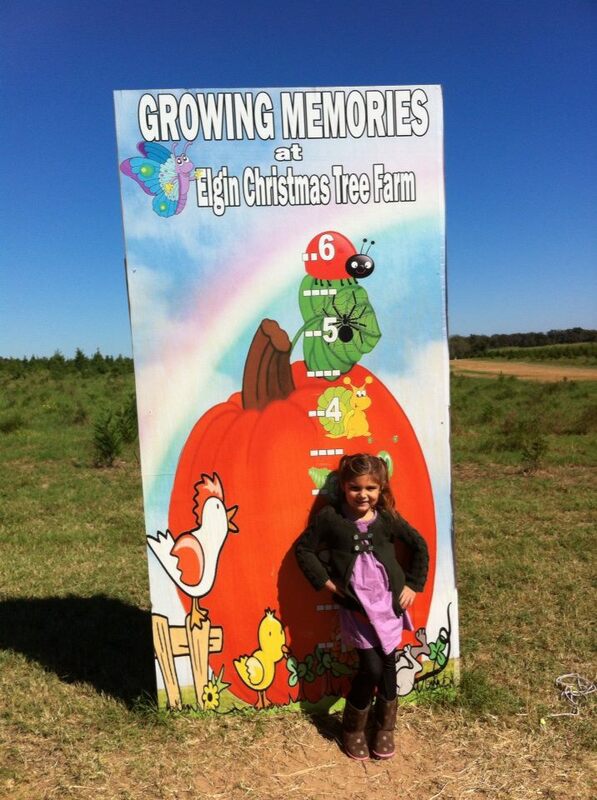 During October they have a pumpkin patch & Bella loved it! 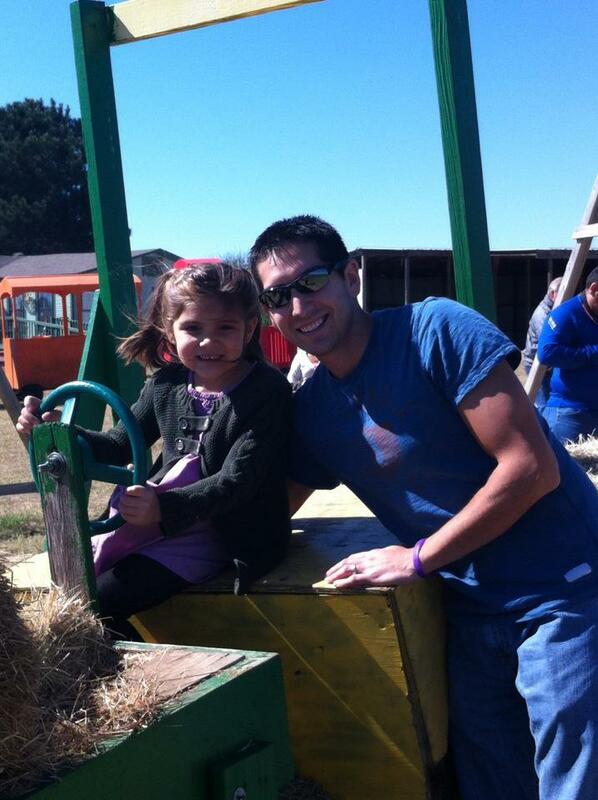 The weather was perfect & we got to go on a hay ride, corn maze, & color a pumpkin! So much fun! 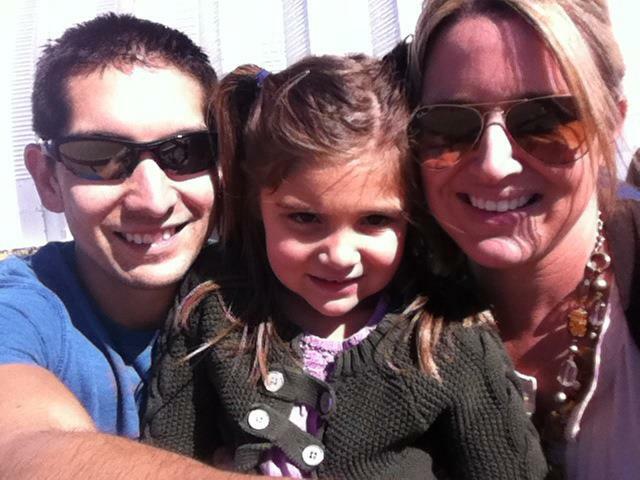 My little family on the hay ride! She's getting so tall! Love this picture! Overall a perfect Halloween weekend!